1. Blue Sky Alpacas Royal: Mmmmm, not surprising that Blue Sky made the list. 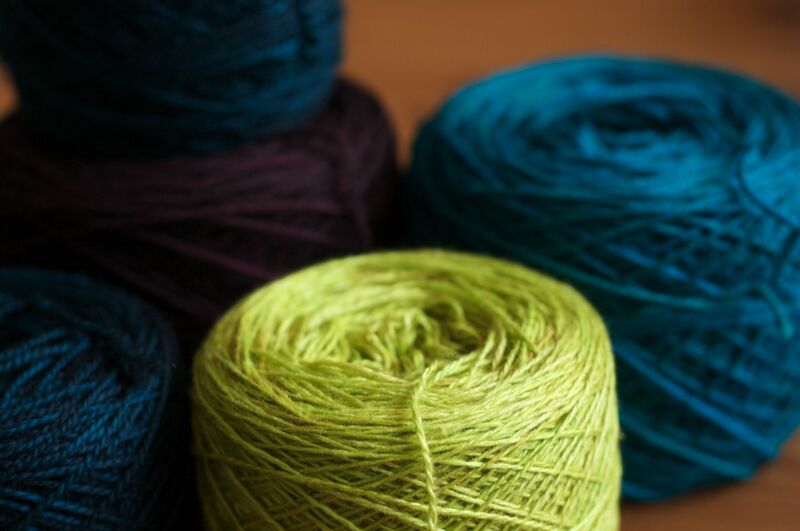 Royal alpaca is a thinner yarn, 24 stitches per 4 inches and absolutely buttery soft. It comes in some lighter shades and it’s perfect for a small shawl, some luxury socks, or the charming button up cowl. 2. Handmaiden Cashmere: I have knit many items with this 100% cashmere yarn but my favorite is a little one skein wonder I designed: the Simple Yet Effective Cowl. Just one skein of this hand dyed beauty and some 16 inch 3.75mm needles for a cowl that’s sure to please. If you’re in the mood for a hat instead the yarn comes with a pattern to make a ribbed toque that has been a hit with men and women alike. 3. 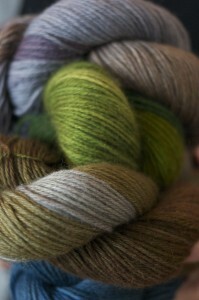 Aslan Trends Royal Alpaca: This yarn is a little newer but has been incredibly popular, hard to keep in stock! It’s another Royal Alpaca yarn so it’s soft as can be. It’s a nice solidly dyed yarn in great colours. It’s been used for a few projects but easily the most popular is the Honey Cowl. 2 skeins of this yarn makes a nice long cowl that wraps around twice to keep you warm as can be. 4. SweetGeorgia Cashsilk Lace: Of course some SweetGeorgia had to make the list too. Another amazing colour palette and a super soft yarn with a little shine in the combination of silk and cashmere. 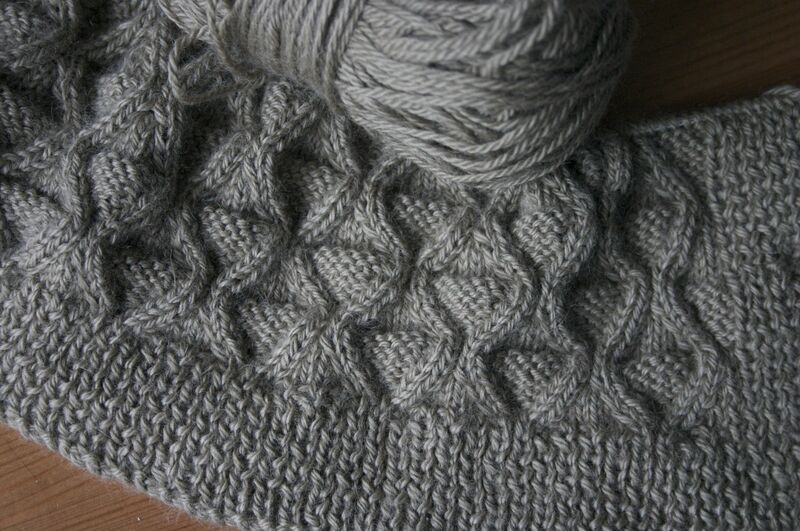 A lace weight yarn, this beauty is perfect for any shawl but I personally recommend the Shetland Triangle. It’s a great pattern with a repeat that allows for almost any amount of yarn. 5. Alchemy Silk Purse: This yarn is another hand dye that is a great yarn to use when knitting for those allergic to wool, alpaca, and/or cashmere. As usual Alchemy’s colour palette is fantastic. Their yarns are so vibrant that the silk absolutely glows. It’s also super soft because it has hardly any spin to it. Perhaps a Springy scarf? Maybe a cardigan? Anything you knit will be a real statement piece. With so many lovely yarns to choose from it’s time for a little yarn treat! This entry was posted on Monday, February 7th, 2011 at 7:03 pm	and is filed under Uncategorized. You can follow any responses to this entry through the RSS 2.0 feed. Both comments and pings are currently closed. You have a way of making me want to drive to the shop late at night to get more yarn! 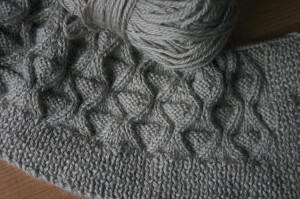 I need to get back to my Royal Alpaca cowl – yours is looking great! My favorite luxury yarn right now is from Gourmet Crafter yarn called Gourmet Cashmere…oooh the colours are so vibrant, the softness is unreal, and who can resist a local dyer! Ah, you are too kind!